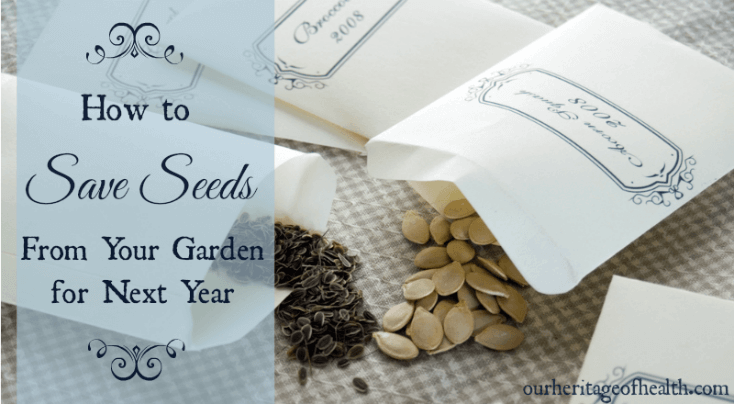 Before you try to save any seeds from your garden, you first want to make sure that your seeds are the type that can be saved for the next year. Seeds from hybrid plants will be unpredictable if you try to plant them in your garden the next year, but heirloom seeds will reproduce true to type as long as they weren’t planted close enough to other varieties that they might have cross-pollinated. You might be able to find heirloom seeds at a local garden center, but most usually carry hybrid seeds rather than heirlooms, so the best place to find a good variety of heirloom seeds is online. 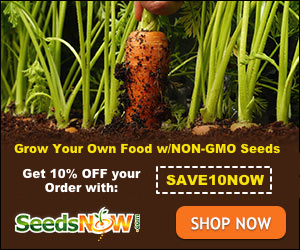 Seeds Now is a great source for heirloom seeds, especially for beginner gardeners, because they offer smaller sample seed packs and their seed “personality” categories make it easy to find which seeds will work well in your particular garden. It’s usually pretty easy to tell if your plants are heirlooms or not because most seed packets or seedling containers are labeled “heirloom” if the plant is an heirloom. If you don’t see the word “heirloom” then you can try looking up the name of the variety you planted to see if it is an heirloom or a hybrid. What you want to be careful of, though, is if you planted several different varieties of the same type of vegetable in your garden because they have most likely cross-pollinated. (I’ve definitely made that mistake before!) This isn’t a problem for self-pollinating vegetables like beans and tomatoes, and it isn’t a problem if you don’t mind experimenting a bit, but if you’re trying to preserve the genetic make-up of an heirloom like squash or cucumbers, for example, you’ll want to make sure the plants haven’t cross-pollinated with each other. Annuals plants (like beans, cucumbers, squash, peppers, tomatoes, etc.) are also much, much easier to save seeds from than biennial plants (like cabbages, beets, carrots, cauliflower, onions, turnips etc.) are because biennial plants would require harvesting the entire plant including the root, storing it over the winter, and then re-planting it again in the spring. First, you’ll want to make sure you set aside enough seeds for the amount of vegetables you want to plant next year plus some extras for seeds that might not germinate or might be eaten by birds or chipmunks. When in doubt, it’s best to save aside more than you think you will need. When preparing seeds to save, you want to make sure that you wash off any residual parts of the vegetable flesh that might still be on them, like the stringy parts of squash and pumpkin, for example. And once the seeds are clean, lay them out on a tray to dry. This usually takes several weeks, depending on the size and variety of seed you are saving. Note: It’s important to make sure that the seeds are fully dry before you store them otherwise they might rot. The best methods for cleaning and drying the seeds vary depending on the type of plants in your garden. This article from the Old Farmer’s Almanac has a helpful overview of the best methods for different categories of vegetables. Some seeds, like tomato and cucumber seeds require a bit more work because they have to go through a fermentation process to remove the gel that coats the seeds. Other seeds, like bean seeds, though, are very simple to prepare because you only need to remove them from the shells and they don’t even need to be rinsed or cleaned. One option is to save the seeds in the original seed packets you bought earlier in the year if you saved them. This can be helpful because you can clearly see which variety of vegetable the seeds came from as well as any specific planting instructions that are on the packet. Or, if you threw the packets away, you can easily use an envelop as a substitute packet. This step is an important one because, even if you think you know what each type looks like, by the time the next spring comes around there’s a good chance you might forget. 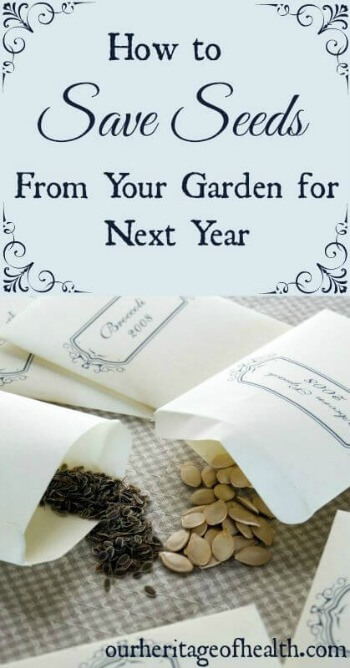 You’ll want to write down the type of vegetable, the name of the specific variety, the date you packaged the seeds, and any information about how you grew the plants that you might want to remember for the following year. 5) Store the Seeds in a Cool, Dry Place. Once your seeds are all packaged, you’ll want to keep them in a place that’s cool and dry. The main thing you want to avoid is storing them in a place where there’s a lot of moisture or a place where there are dramatic fluctuations in temperature. And that’s all there is to it! Once you’ve harvested and stored your seeds, you’ll be all set for planting your garden again next spring. 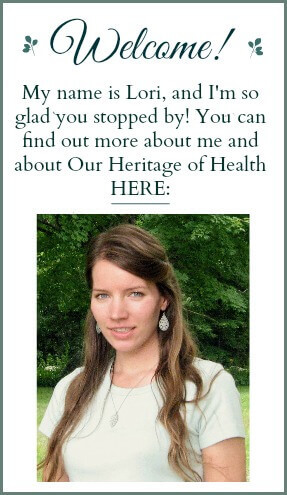 can u sign me up to follow you, please? There are a couple of different ways you could follow me. Old pill bottles are a great for saving seeds. Most are air tight so drying is very important. The opaque ones protect from light and they keep moisture out. They will not deter a determined mouse, but if you clean the outside with rubbing alcohol, the mice may never pick up the scent. Make one label for the variety of vegetable and a second label with a packaging date. The second label gets replaced each season. OTC pill bottles are generally better than prescription bottles. I save bottles from aspirin, allergy tabs, vitamins, etc. I am richer now with knowledge on seed saving. The washing bit is new to me.